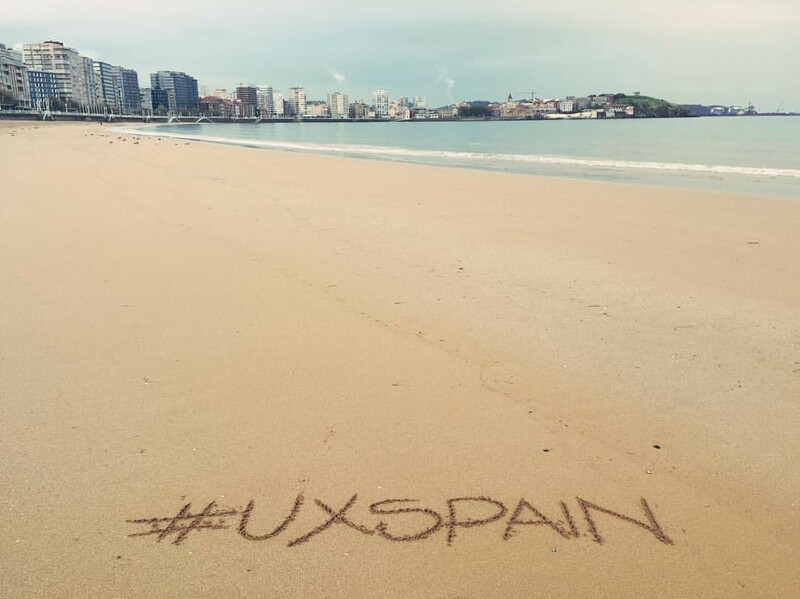 Last week, I went to Gijón in Asturias, north of Spain, to the 6th edition of the UXspain conference, to sit down 2 days listening to several point of views on our current situation and our future as User Experience professionals. (spoiler alert: it’s great). Apart from the fact that it was, as usual, perfectly organised, and that the food in Gijón is not only crazy-good but also served ridiculous/generous/ly, and that, apparently, you never know when it’s going to rain or be sunny, I enjoyed taking in a strong dose of optimism for our profession. UX, service design, CX, AI, webdesign, merging the one with the other; UXspain this year sent me straight to a future where our knowledge, our empathy, our skills need to be wider as to be used not only for screens deliverables, but most of all for our world of people and things. We, designers (service+ux) are already, or will be, designing for objects, not for how they look, but for how they speak. How they speak to other objects, to devices, to people. We are about to gain as much crucial responsibilities as building architects do, when it comes to visualise the impact of a service: we know need to make sure our products don’t kill anyone. Oscar Mendez Soto and Claire Rowland took us through an interesting and wide overview of possible problematics or dangerous scenarios around connected devices, as for instance: glitches can cause doors, car doors or house doors to open by mistake; or more extremely (that one I loved), an autonomous car driving on a road next to a cliff, 2 people cross the road, it’s too late to stop the car to avoid them; what option of two will the onboard computer choose: kill 2 people by driving the car over them? or turn to avoid the 2 people, and throw the driver and the car over the cliff straight to death? Presently, artificial intelligence is viewed and worked out as to substitute some human capacities and reach our level of autonomy, the same way people first designed planes to fly like birds do, before leaving the bird paradigm and creating planes own physics and capabilities, becoming way faster than birds; robots will become smarter that humans, way smarter, smarter than the sum of all humans that have lived in all history, and this, is a total new paradigm to deal with. We are about to be called in to design truly impactful solutions for the user and our environment, and at the same time, we need to be able to anticipate the impact on current status quo. Beatriz Belmonte invited the audience to take into account the possibility of becoming some sort of science fiction writers when designing solutions, as a mean to visualise alternative futures, set by that solution, and anticipate the impact it could have on several fields and people, and include that vision in the design process. More than ever, we are becoming EXPERIENCE designer, for all types of experiences. The future is giving us the opportunity to design real conversations, to design the basis of how homes, cars, administrations and governments act and interact, talk and listen, process and deliver insights and information, and our decisions will become highly crucial and critical. We have the most interesting jobs and projects at our reach, we’re going to be more relevant for companies than ever, and, yes, we are going to get more money for that. Our future, is exciting. Let’s embrace it. #UX consultant & Designer for the #innovation team at @ingdirectes. Calligraphy enthusiast. Music lover. I also instagram pics of what I cook; nobody’s perfect.